The customers will be welcomed right on the dock. 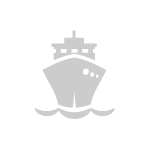 Assistance with formalities of embarking at the port. An&Go offers assistance in English, French and Spanish. We also provide a native Spanish attendant/guide for individual and group tours and an English speaking attendant. I read this article and found it very interesting, thought it might be something for you. The article is called Port Assistance and is located at http://www.anego.it/en/services/port-assistance/.